Eliminate Communication Barriers and get Everyone on the Same Page. Avoid the pitfalls of poor communication with Communifire’s collaboration tools. Keep everyone engaged and up to speed. Do your employees have the resources necessary to band together without interrupting work processes? Are tasks being missed, dropped, or completed incorrectly because of poor communication? Put a stop to time-wasting tasks and refocus on productivity when fueling communication in the cloud. Go ahead – dare to revolutionize collaboration. Communifire's enterprise-level intranet offers specialized features designed to enhance social collaboration for business. By adapting familiar social tools to the needs of businesses, Communifire created an all-in-one communication management solution. Avoid the pitfalls of mismanaged and inconsistent communication when using Communifire. Contained securely within the cloud, internal and external collaboration with stakeholders is quick and easy. Conquer data organization challenges while encouraging productivity. Implement a solution today that keeps your business running tomorrow and for years to come. Discover the many ways Communifire can be used to fuel your company. Whether reaching out to clients or streamlining internal communication, Communifire makes teamwork fun. Use visual content, like video and photos, to clearly communicate ideas related to a specific project. Keep comments, feedback, and suggestions linked with the image or video. Alternately, use #hashtags to navigate all content related to a particular campaign. Develop discussion forums or detailed Wiki pages to clarify policies, procedures, and processes. Customize permissions to allow everyone or only some users view forums and pages. Eliminate confusion while encouraging participation with Communifire's social collaboration for business solutions. Bring a concept from "fleeting thought" stage to project completion with brainstorming tools exclusively found in Communifire. Link files, flow charts, diagrams, and other documents to Ideation boards by using tags. Because all content within the platform is indexed, users can instantly access Smart Search to find related discussions, files, and activities. Develop social collaboration tools to meet the needs of different departments through work station development. Create a work space just for you, a team, or an entire sector of your corporation to keep important conversations in one place. Expedite the on-boarding process and simplify training when using Communifire to publish videos. Engage viewers with the platform's responsive HD display, which can be accessed on any device for optimum flexibility. Inspire employees to share their experiences and advice with others through blogs and articles. Featuring a content management system designed to encourage interaction between users, the platform's familiar social sharing functions helps promote and distribute content internally. As an alternative, use Communifire's CMS as a consumer-facing publishing tool. 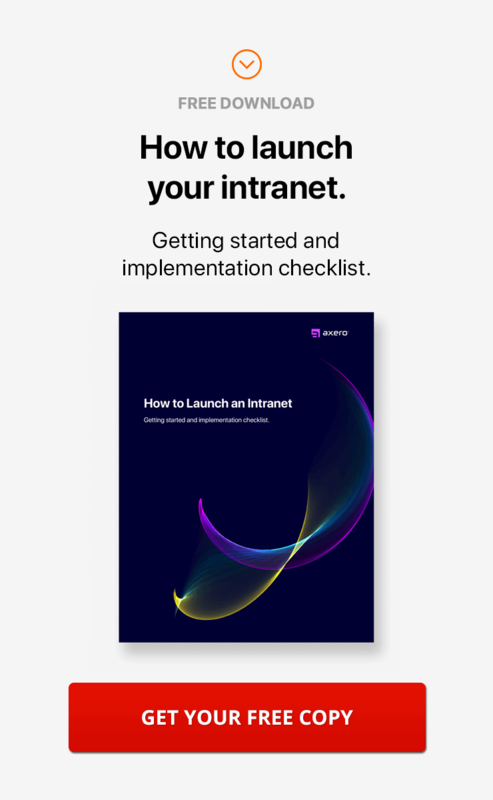 Eliminate the use of email by channeling all corporate communications through your secure, cloud-based intranet. Guarantee messages never get lost when communicating via Communifire. Social collaboration for business is one of many ways Communifire keeps your company running smoothly.